HENRYVILLE, Ind. — Kentucky may be known as the horse capital of the world, but you have to cross the Ohio River into Southern Indiana to find the heartbeat of endurance horse riding in the Midwest. Henryville, about 20 miles north of Louisville, is a hotbed for endurance riding because of nearby Clark State Forest, which has almost 100 miles of horse trails amid its 26,000 acres. Endurance is one of the eight equine disciplines that will be showcased at the Alltech FEI World Equestrian Games in Lexington from Sept. 25 through Oct. 10, with a 100-mile endurance race set for Sept. 26. It's a sport that tests both the horse and rider. Back Country Horsemen of America, the nationwide organization that leads the fight of preserving our right to ride horses on public lands, continues to be actively involved in the U.S. Forest Service’s trail re-classification. Back Country Horsemen of America values the dedication and hard work of its members. The national body has put the responsibility of overseeing the implementation of the new classification system in the hands of the folks who use the land. Each individual BCHA unit will communicate with the managers responsible for the trails local to that unit. In this way, through open conversation, a long lasting working relationship will be formed, helping to ensure that horses will continue to be allowed on our favorite trails. U.S. Forest Service Deputy Chief Joel Holtrop has been a steadfast ally who is dedicated to safeguarding the historic uses of our wilderness lands trails. He has committed to make available upon request information regarding the Forest Service’s management objective for each trail countrywide. This information will make it simpler for local horsemen to determine if current trail objectives are consistent with historical classifications. If the BCH group finds that the management objective for a given trail that was historically used for horses does not allow pack and saddle stock, that group will then begin a discussion with that district ranger to determine the justification for not managing the trail for pack and saddle stock. For trails that are not designated to be maintained for horses and mules, the area BCH unit will request that the line officer disclose the planning document(s) and the public involvement process used in determining the uses for which the trail will be managed. As appropriate, Back Country Horsemen groups will negotiate with the local district ranger or forest supervisor to have the trail management objectives changed to reflect a managed use for pack and saddle stock. In the interest of preserving the spirit of partnership, this strategy will provide the Forest Service with every reasonable means to defend a change in the physical characteristics of a trail as the result of implementing the new classification system, or to amend their data to reflect characteristics in place prior to implementation of the new trail classification system. In 1999, the Forest Service began to design a new trail classification system, but failed to allow public involvement as required by the National Forest Management Act. After numerous failed attempts to gain an audience with the agency, BCHA was forced to litigate in 2005. The court ruled in the horsemen’s favor. Since then, the Forest Service has listened to concerned citizens and taken into consideration the needs of horsemen as well as other user groups as they redesigned the trail classification system. Prior to BCHA involvement, the new pack and saddle stock parameters were marginal. Through subsequent communications with the Forest Service they have negotiated pack and saddle stock parameters that will safeguard our historic access to National Forest System lands. Back Country Horsemen of America recognize the need for horse folks to get involved in monitoring the implementation of the new trail classification program. Otherwise, we may find that our favorite trails are no longer managed to a standard appropriate for horses and mules. The goal of BCHA is to determine if land managers have assigned new trail classes that would not accommodate pack and saddle stock on trails that were historically accessible to stock. If so, did the agency involve the public and follow an approved land management planning process as agreed in the court decision? Back Country Horsemen of America have always seen themselves as partners with the Forest Service in preserving and protecting our back country resource. Continuing in that attitude, BCHA plans to achieve their objective in a spirit of teamwork with land managers. The Trail Classification System is still new. It is not inconceivable, at this preliminary stage, that district rangers are not yet aware that the management objectives for a trail might be a concern for horsemen or reflect a change in the historical status for the trail. BCHA considers its efforts to be that of helping the agency validate and update its records. On long, hot trailer hauls, should you leave the upper back doors open or closed? Here’s a tale that ends all debate on the topic. Chrystal Woodhouse was just easing back into the passenger seat after stopping at a roadside restaurant with husband, Rob, as they resumed their trip back to Canada. Their young daughters were in the back seat and Miss T Moonlight was munching on hay in the trailer. They were on their way home from the Old Dominion 100-mile endurance ride in northern Virginia. Chrystal didn’t quite complete the event. She had to pull her horse up after 90 miles because of a stone bruise. Apart from the disappointment of not finishing, it had been a perfect family weekend. They were just outside Breezewood, Pennsylvania, south east of Pittsburgh, and had only been on the interstate for minutes when Chrystal noticed something odd out of the corner of her eye in the rear view mirror. It was brown, like a deer, a dog or a coyote or something, tumbling or rolling behind them on the highway. The 2010 World Equestrian Games will be held September 25th through October 10th at the Kentucky Horse Park in Lexington, KY. It will represent the largest equine sporting event ever held in the United States. The venue will host more than 900 competitors and their 1,300 horses from 58 countries, requiring the largest single importation of horses into the United States since World War II. This is the first time since the Games began in 1990, that the event has been held outside of Europe. Prior Games have been held in Sweden, Italy, Spain and the 2006 Games were held in Aachen, Germany. The 2014 Games will be held in Normandy, France. The first Games in 1990 involved six disciplines – Dressage, Show Jumping, Eventing, Driving, Endurance Riding and Vaulting. 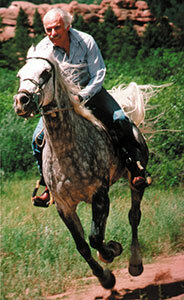 In 2002, the discipline of Reining which is dominated by the American Quarter Horse was added. This year Para Dressage was added, which is a Dressage competition for the physically and mentally handicapped. Trying to remember why I abandoned my nice comfortable life to live in a box with wheels for months on end. Actually not that bad, been to some very interesting places and met some wonderful people, an experience that I will always hold dear. Danville to Kentucky was not too far, about 7 hours, but it was nice and hot, highest temp I saw was 97. Just as I got into town the AT&T network went down so could not call Ron Brown to get the final few miles of directions to the farm. Arrived in Nicholasville, KY at about 1:30 PM on Thursday the 16 of August. Ron has 100 acres in the middle of a upper scale neighborhood, just seconds from the Hwy, we are about 15 miles to Shaker Village and the same to Lexington Horse Park, so perfect. He has two very large older barns that are in good repair. Ron's dream is to have really nice boarding and exercise facility. The first step in my adventure as a volunteer for the endurance phase of the Alltech FEI World Equestrian Games was taken July 26, 2010, when I attended my first volunteer training meeting. It is estimated there will be about 8,000 volunteers and World Equestrian Games Foundation staff working during the Games. Many of the workers have come from places other than the Lexington area, taking their vacations to volunteer. The room was abuzz with excitement about what was to come, the anticipation heightened by a beautiful promotional video played on a big screen in the front of the room. We were told that the 2010 Alltech FEI World Equestrian Games will be the largest equine event ever held in the United States, and the largest, over the 14 days, sporting event ever held in Kentucky. Just typing this sentence gives me chills! I have attended the Kentucky Derby many times, never considering the logistical and safety challenges the staff of that event must face. When I think of Derby day, I think of traffic problems. During the World Games, traffic heading to the Horse Park will be re-routed directionally so all traffic enters from one direction and exits heading the opposite direction. All left turns into and out of the Park are eliminated, which will speed up the overall traffic flow. Several different traffic and parking scenarios have been proposed so everyone attending the Games should remember that the traffic, the lines, the crowds, and the excitement level will be on a grand scale. Car-pool. Be patient. Be courteous—words to live by. At this training session we were given a few tips about cultural differences in behavior and saw a video about conflict resolution. A list of responsibilities and expectations was discussed which included things like where the volunteers are to park, check in times, wearing clean uniforms, and that we are not to light fires. Now I enjoy a crackling campfire but I would not think of starting one at the Horse Park! We were told what to do if someone approaches and states that they want to “defect.” If anyone in the room did not understand that this will be an international event, perhaps this discussion drove the point home. There will be people from 59 countries participating in the games. You know they are going to love our beautiful Bluegrass area! As volunteers we must wear specific uniforms that consist of provided polo shirts, a jacket, a hat (we must wear the bill forward) and a cinch pack for the personal things we need to survive our shift. We are to wear long khaki pants, but they are not provided. I do not know what the shirts will look like yet, but they will surely be better than the ones we were given for the 1996 Olympic Games in Atlanta. I worked there as an equine therapist, happily wearing the way-oversized shirt with its gaudy design of blue and turquoise loops and circles. You could easily pick out the workers in a crowd and perhaps that is the idea. As during the Olympics, workers will all have an accreditation pass to enter the Park. We must show this pass for access to our venue. My work venue will be the endurance test, which is like a marathon race. The horses will run a 160-kilometer course laid out through the Park and surrounding farms. Team and individual championships will be determined and the veterinary commission will select a horse that finishes in the best condition. I truly look forward to watching this demanding event and to doing my small part to make it happen. I will be checking back in with updates as we get closer to the opening of the Games. See you there! SA Belshazzar (Bayram x Jay El Tongafarah ox) named by USEF to go to Shaker Village. First USA Shagya to travel to Dubai, UAE to race in the President's Cup. First USA Shagya to do a 100 miles in 9 hours 17 min. has found a niche in the endurance world. WAHO, the Shagya has struggled to comeback following WWII when it almost became extinct. PLEASANT HILL — Shaker Village has been selected to host the U.S. Equestrian Endurance Team in the run up to the Alltech FEI World Equestrian Games this fall. A dozen horses and 10 riders will arrive at Shaker Village on Sept. 1, where they will do light conditioning work with the horses, Endurance Team Coach Becky Hart said. Riders will exercise the horses on a circular treadmill known as a ‘eurociser,’ climbing hills and doing some short canter, she said. The riders also will keep in shape by going on hikes, jogging, bicycling and swimming. Hart said the horses already are very fit and will need only minimal training before the games. On Sept. 17, the list of riders will be halved as the final five are selected to represent the U.S. at the games. Then the team will move to the World Equestrian games venue on Sept. 24. Hart said the team chose Shaker Village because it had everything they were looking for, from stalls and access to trails, to living quarters close to the horses and on-site meals. Shaker Village also will provide the team with a nice level of privacy because it is a good distance away from Lexington, she said. “Privacy and a place where we can retain our focus and dedication to winning a medal for the United States was an important part of opting for Shaker Village,” Hart said. 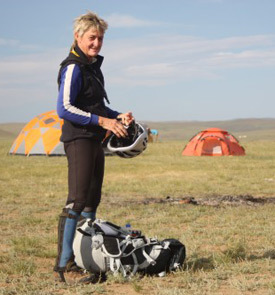 The New Zealander who finished third in the 1000-kilometre Mongol Derby says the aches and pains are not nearly as bad as she imagined. "I'm doing really well actually," said Madonna Harris, who is Equestrian Sports New Zealand's endurance high performance leader. "I'm not anywhere near as sore as I thought I might be." The Aucklander led for several days and remained in contention for most of the race, but in the end finished three hours behind American Justin Nelzen and two-time derby veteran Saskia van Heeren, from South Africa. Yesterday it was announced who was in the top ten for the USA World Endurance team. The top ten riders are: Ellyn Rapp, Michele Roush, Jan Worthington (our host), Meg Sleeper, Melody Blittersdorf, Lindsay Graham, Ceci Stasuik, Deborah Reich (friend and client) and Heather and Jeremy!!! It was really cool to make it. Sam and Smitty are both looking great. "MONK goes to Shaker Village"
Lots of pictures in the Danville file on this link http://picasaweb.google.com/Webtackusa , there are I think two videos on that link. What appears to be a nicely groomed trail is a ankle buster. I walked about 3 miles of the manicured trail and was surprised to find hoof sized holes, probably left over from the mud ride now covered with nice evenly cut grass..
MONK and Lindsay were in the saddle early. MONK was #1, and I guess you can read into that what you want too, I know I did. We had 6 horses in our group and I think there were 5 groups and the highest number I remember seeing was 26. Team #1 left at 5:45am, riders were out cantering their horses by 5:30am. Teams were spread 20 minutes apart. Teams were allowed one groom, all other team members became crew to help cool down the incoming horses. When not helping others you could then go do your own thing with your horse. Crew persons were down in numbers from the previous trials we had been too which hindered the process a little, but everybody worked together nicely and got the job done. On March 1, 2010, San Francisco based singer/songwriter Linny Kenney set off with her horse, Sojourner, on a cross country ride starting in CA heading to her childhood home in NH. Linny is riding in celebration of strong families and as an outreach to families dealing with divorce-related depression. The ride is about endurance, challenge, a love for the land, people, and the horse, and the beauty of slowing down to enjoy the moments. I looked through your site and it looks like most of it is dedicated to endurance races, but if you're interested in sharing our story with your readers...I have been on my horse for nearly 6 months now, 2,115 miles. I have always dreamed of riding a horse across America since I was a little girl and now we are finally doing it. My best friend is in a support truck (no trailer) and slowly but surely we are making our way from Los Angeles, CA to Bath, New Hampshire! The ride has shown the incredible trust, generosity, and openness that is still available in this country. It's been a pretty incredible ride full of stories that I would love to share with more people. If you have a section on your site for links or blogs maybe we could swap links on our sites? Thanks for taking the time to read this! " Just 13 riders remain in the fray for Mongol Derby glory. British Anna Bradbury and South African Elsa Post are riding at leisure, alternating between horses and back-up jeeps, and have retired from the competition after an exhausting first half. The Mongolian climate has taken on some significance during the last two days of racing. Fierce heat yesterday may have ended Australian Alisa Vermay's hopes for victory. Having led the field away yesterday (Wednesday) morning, she succumbed to heat stroke and dehydration later in the day, and was held by the medical team at Urtuu 16. She responded very well to treatment but was advised to take a rest day today, and remains at Urtuu 16 with one of the Prometheus Medical team. Today has been a good deal cooler and seen some heavy rainfall, throwing up a new set of challenges to the horses and riders. The leading pack may have been split again today. We have had reports of a time penalty being imposed on one of the leading riders. Riders may have time penalties imposed by the vets if their horse fails its vet check, or by the back-up team if they stray too far away from the course. The penalty system is designed to protect the welfare of the horses and riders, and ensure a fair contest. At the end of day six, Saskia van Heeren and Justin Nelzen are at Urtuu 20, an urtuu clear of the next rider, Madonna Harris. Madonna remains clear of the next group at Urtuu 18, Hilary Ponti representing the US, Sophie de Selliers of Belgium, Camilla Swift, Rhiannon Thomas, Anya Campbell and Richard Dyer of the UK. They are one urtuu ahead of Brit Susi Saddler and American Kat Swigart, who gamely recovered from a fall on day two and is reported to be sporting a shiner of a black eye, whilst Camilla Speck is just a couple of kms short of the chasing pack between Urtuus 17 and 18. Meanwhile, Alisa is bringing up the rear, some 100 kms off the pace, at Urtuu 16. As we have seen today the race can change shape in very short order. Even if the leaders have commenced their sprint to the finish, they are only a mishap away from rejoining the chasing pack. The horses seem to be coping very well, and we have had no veterinary incidents reported to date. The course is set with water sources in mind. PERTH - When it comes to riding, Elaine Steele does not horse around. 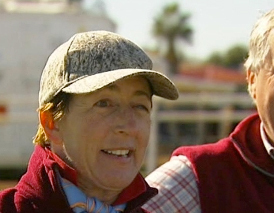 When the mother of three from Mountain Grove is not spending her nights as the swing manager at the McDonald’s restaurant in Perth on Highway 7, she is riding her horses, Chanticleer Shadow and Xena Warrior Princess, to victory at numerous competitions. Steele has been riding horses for 48 years; she first rode when she was four years old. James Henry Steere practiced veterinary medicine for more than 50 years, the majority of them in Sonoma and Marin counties, where he opened Artaurus Veterinary Clinic in Petaluma in the early ’70s. 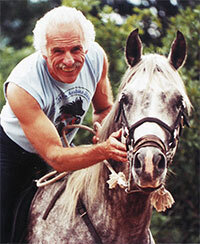 Mr. Steere was known in the community for his compassion and skill as a veterinarian and his participation over the years in long-distance endurance riding, where he helped to establish many of the safety standards that govern the sport today. A longtime resident of Petaluma, Mr. Steere died unexpectedly at his home on Aug. 3, 2010. He was 85. “He touched so many people and was able to inspire you to do all kinds of things,” said sister-in-law Sharon Bezuhly. “He was a very happy person who had a gentleness to him and a wonderful sense of humor. He was just a great person and a great horse doctor..."
When I was at the North American Junior and Young Rider Championships last week, I was driving through downtown Lexington, Ky., and found myself brimming with excitement about the Alltech FEI World Equestrian Games. Not only were there totally beautiful horse statues everywhere, but we drove under a countdown clock to the Games! There are only 43 days left until the opening ceremonies, so this week I’m exploring another fairly new horse sport: endurance. Theoretically, endurance riding’s origins are thousands of years old. Since the time when man first tamed horses and trained them for transportation and work, they’ve been the engines behind man’s nomadic ways. However, endurance riding as a modern sport didn’t exist until the early 1900s. Quite a time gap! It has finally happened, the time trial is over. We will find out tomorrow who will be in the top ten. Smitty and Sam had a great day. The weather was crazy and the trail was technical. Loop one was a 17 mile trek through hazy humidity that would fog up your sunglasses, I tried it. The bugs were crazy, it felt like it was raining on your face but it was just the bugs, currently my right eye is bloodshot from the bugs landing in it. We had a 40 min vet check after each loop. Our next loop cooled off a bit. The humidity lifted as it was preparing to rain. The result was that loop 2 was cooler. We were able to pick it up on loop 2 which was 24 miles. Another 40 min hold. About 5 min before I was out, it let loose. A memorial celebration will be held Aug. 22 for Dr. James Henry Steere of Petaluma, who died Aug. 3 after a brief illness. He was 85. Dr. Steere practiced veterinary medicine for more than 50 years, the majority of them in Marin and Sonoma counties. A dedicated advocate for horse welfare, Dr. Steere remained active as an equestrian well into his 80s, having completed the 19-mile Ride & Tie Championship Course, a grueling long-distance relay, with his son Thom in June. 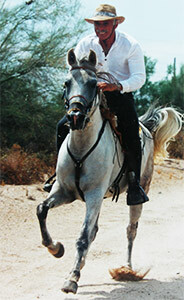 "A lot of us met him through the horse," said Sandy Greenblat of San Rafael. "He became our veterinarian, and through that he became our friend. You could never talk to Jim without learning something, and he had a terrific sense of humor. He is going to be sorely missed." Born March 5, 1925 in Hollywood, Dr. Steere grew up riding each day on horseback to his two-room school in the hamlet of Rosamond. He graduated from Boulder High School in Colorado and studied for a year at Pomona College in Claremont before serving in the U.S. Army Air Corps as a second lieutenant and radar navigator. During the war, Dr. Steere flew B-29 bombers from the island of Guam. After the war, Dr. Steere completed his studies at Pomona College and was accepted to both veterinary and medical school. He chose to pursue veterinary medicine, earning his degree at the University of California at Davis in 1953. "It was an agonizing decision," Dr. Steere said in a 1983 Independent Journal interview. "Horses were my first love and still are..."
A California rancher recommends horse owners examine their barns for Africanized honeybee hives after two horses stabled on her Menifee property died subsequent to sustaining hundreds of stings. The two Tennessee Walking horses were stabled in a barn containing undiscovered Africanized bee hives at Wagon Wheel Ranch. On July 21 a ranch hand discovered the animals swarmed by the bees, said ranch owner Christa Caudle Schaffer. A veterinarian called to the scene treated the animals with epinephrine (a hormone that stimulates the sympathetic nervous system to increase heart rate and dilate air passages) and dexamethasone (a steroid anti-inflammatory, immune suppressant drug). Both horses later died of anaphylactic shock, Schaffer said. Back Country Horsemen of America, the leading organization in saving public lands trails for equestrian use, strongly supports the United States Department of Agriculture’s new program called “Open Fields” or Voluntary Public Access and Habitat Incentive Program (VPA-HIP). USDA Secretary Tom Vilsack recently announced this effort to encourage owners and operators of privately held farm, ranch, and forest land to voluntarily provide public access for recreation under programs implemented by state or tribal governments. Such access will offer new opportunities for enjoying open spaces through a variety of activities such as hunting, fishing, mountain biking, hiking, bird watching, and, of course, horseback riding. Open Fields is the first federal incentive program designed to encourage best management practices and sportsman access to undeveloped land. Instead of creating new federal programs, it relies upon existing and new state programs to protect landowners from liability and reward them for doing the right thing with their land. Back Country Horsemen of America realizes that the majority of the existing programs have limited scope and budgets, with most programs having an annual budget of under a million dollars. Open Fields will provide up to $50 million through fiscal year 2012. This funding will help states and tribal gov­ernments address many issues that can greatly increase access and recreational experiences. Funding priority will be given to proposals that line up with the program’s objectives such as maximizing participation by landowners; ensuring that land enrolled in the program has appropriate wildlife habitat; and providing information to the public about the location of public access land. Back Country Horsemen of America notes that the benefits of the Open Fields plan are numerous. In these times, undeveloped land is becoming harder to come by, and public lands managers are working with increasingly small budgets that cannot cover the maintenance costs required to keep trails open. This is where hard working folks like BCHA members fill in the gaps with strong volunteerism. For a variety of reasons, horses are now being banned from more and more trails, properties, and whole wildernesses. Back Country Horsemen of America feels that, as a nation, we are in danger of losing our heritage as a people who traveled by horseback, who depended on the sturdy backs and generous nature of their pack and saddle stock. The Open Fields program is a positive against those negatives, increasing the number of undeveloped acres available for recreation, and increasing our opportunities for enjoying America’s beauty the way our forefathers did, by horseback. BCHA sees that this program will also promote conservation and appreciation of our undeveloped private lands, which compliments BCHA’s role of preserving opportunities on public lands. Property owners will be rewarded for managing their lands to provide recreational opportunities while sustaining a diverse and healthy ecosystem. Recreationists will learn how to tread lightly on the land, as well as gain a new appreciation for nature. Additionally, there is the potential for the Open Fields plan to stimulate local economies and support job growth. As folks come into the area to recreate, they purchase a variety of goods and services such as fuel, food, supplies, and lodging. Private landowners may have concerns about liability protection when opening their land to the public for recreational purposes. All fifty states, however, have enacted some degree of liability protection for these landowners through statutes know as "recreational use statutes”. Back Country Horsemen of America sees the Open Fields program as a step against the tide of a growing trend that is making our public lands unavailable for pack and saddle stock use. Not only does it promote the protection of undeveloped land by rewarding private owners for maintaining best practices, Open Fields also encourages the appreciation of those lands by the general public. ANNE KRUGER, PRESENTER: The 1st of August is the official birthday for all horses in the southern hemisphere. And this year it marks another important step in the comeback of one of the world's most accomplished equestriennes, Meg Wade. It's just over a year since a competition fall left the 47 year old endurance riding champion in a coma with serious head injuries. There are countless equestrian sports available to horse enthusiasts and different types of competitions within each discipline. From dressage to eventing, to cutting, to reining, to jumping, to driving and endurance to name a few. Each sport is exciting, competitive and invariably has its own event of significance within the discipline: like the Rolex Kentucky Three-Day Event for eventing, The Kentucky Derby for Thoroughbred racing and the Tevis Cup for endurance racing. These historical events define the sport segment. It’s where horsemen and horsewomen take their horses to measure them against the best. The Tevis Cup 100-mile horse race is unquestionably one of the most difficult equine events in the world. It has a deep tradition and its 55 year history defines the sport of endurance racing. The challenging trail stretches from North Lake Tahoe in California to Auburn, California. Riders and equines climb over Emigrant Pass at nearly 9,000 feet; traverse canyons with swinging bridges and ride in temperatures that often climb over 100 degrees. Average completion rates run in the 50% range year after year after year. The winning horse and rider team is presented with the “ Tevis Cup”. Winning ride times average 15 hours and the course record of 10:46 was set by Boyd Zontelli on Ruchcreek Hans. The list of Tevis Cup winners reads like a legends of the sport list and is an award that most endurance riders can hardly imagine. Ten "10" days to go, it is what it is, what's done is done, etc. etc.. I am getting nervous already. You always wonder if you did too much, or not enough. MONK has handled the humidity and temperatures like he does most things, in stride... He looks great, I brought my scale, but have not weighed him. Sounds silly but at home everything is the same, everyday. He hears me coming on the quad and goes potty and walks over the the stall door ready to come in. Here things are different, he is basically on pasture for maybe 20 hours out of 24. He does come in for a fly vacation and snacks but that's it.. There is not much I can do about his weight at this point, other then not have him do any work, which is where we are at about NOW.... I do put his additives and elytes in his snacks, which some times he eats it all, and other times does not touch it. But he still has lots of cover and I particularly like the fact that he seems very "happy" with his band of mini horses, all girls of coarse, all out on pasture. He does have one REAL girlfriend though, she follows him everywhere and calls to him, and hangs with him all day long. All tack issues have been resolved, at least for me, hopefully it will be the same for Lindsay. I have been taking some preventative measure to keep him from getting scratches, which hopefully will work. We are pleased to announce the first trilogy of free 60-minute webinars designed to address three basic areas of natural horse care. These free 60-minute live webinars will take place via the Easyboot Facebook Page this Monday, Tuesday and Wednesday August 2, 3 & 4 at 5:00 PM MDT. Yes, that would be 4:00 PM on the west coast and 7:00 PM on the east coast. 1. Monday, August 2: Easyboot Glove Fitting and Easyboot Glue-On Application. 2. Tuesday, August 3: Trimming and Hoof Care Maintenance.